Frans Vreeswijk took over the function of IEC General Secretary and CEO on Oct 1, 2012. Prior to joining the IEC he worked for almost 30 years for Philips in the Netherlands, Austria and the USA in research, healthcare and consumer electronics. Vreeswijk was president of the IEC Dutch National Committee (NEC) and a board member to the Dutch National Committee (NEN) to ISO (International Organization for Standardization). 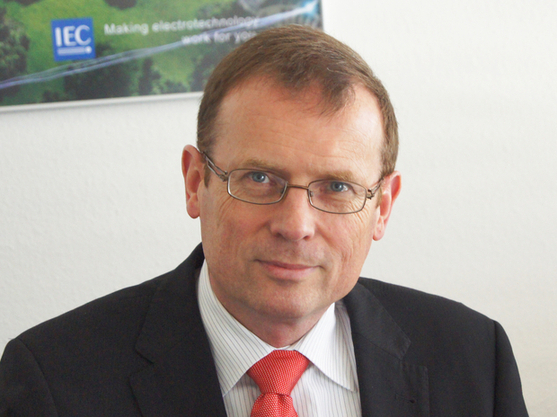 He served on the IEC Council Board and SMB (Standardization Management Board) and represented the Netherlands in CENELEC (the European Committee for Electrotechnical Standardization).